This easy to play kids yoga game develops the dexterity and flexibility of the feet while also working on core stability and balance. Add in a sorting/classifying element (an early math skill) and you’re golden! 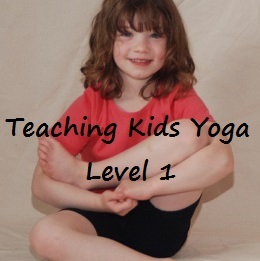 For years I’ve been playing Toe-ga with my kids yoga classes. 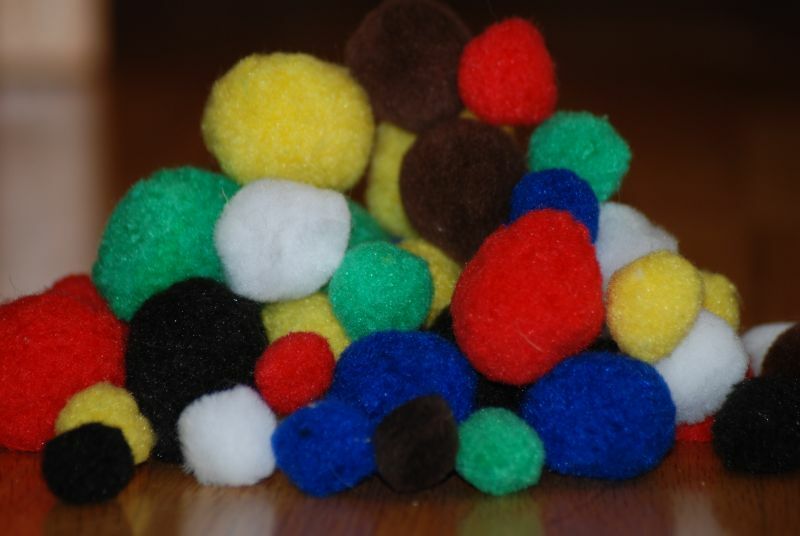 This is where you scatter a number of craft pompoms on the floor and then have children pick them up and put them into a container using only their toes. Toe-ga is always a hit and is often requested again & again. Usually I use small plastic baskets or cups as the container. 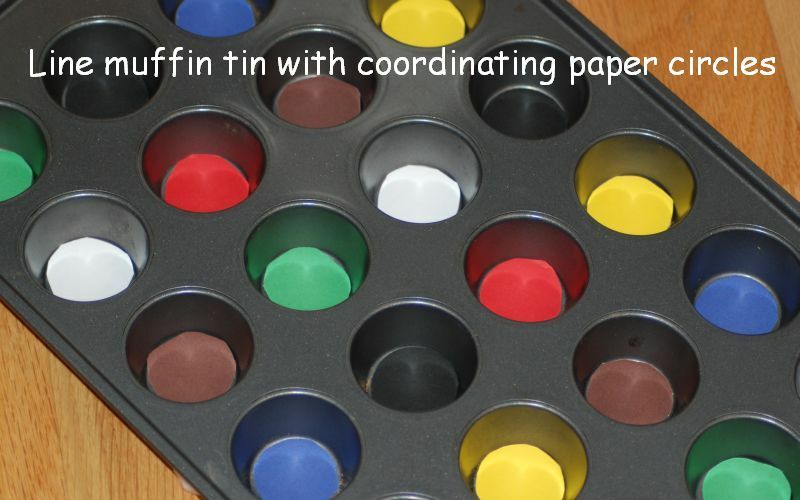 Then I found this creative use of a muffin tin to sort by color and develop fine motor skills on Raising 4 Princesses. I knew immediately that this would work like a charm for Toe-ga. So I dug out a mini-muffin tin and my pompoms and got to work. I’ll be using my fine new Toe-ga Kids Yoga Sorting Game whenever I teach a colors kids yoga class. 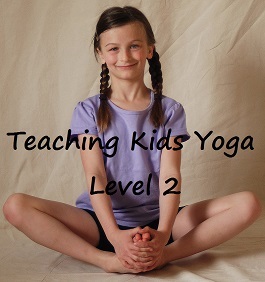 For tons of great yoga ideas to teach colors check out My Many Colored Days on Omazing Kids. 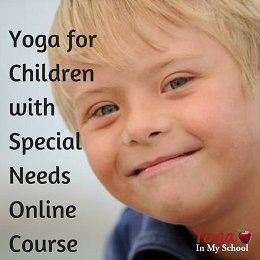 Toe-ga and over 100 other fun and creative kids yoga games will soon be available for download in our fabulous new resource Yoga Games Galore, scheduled for release late September 2012. Like us on Facebook and watch for the announcement. This looks like so much fun! 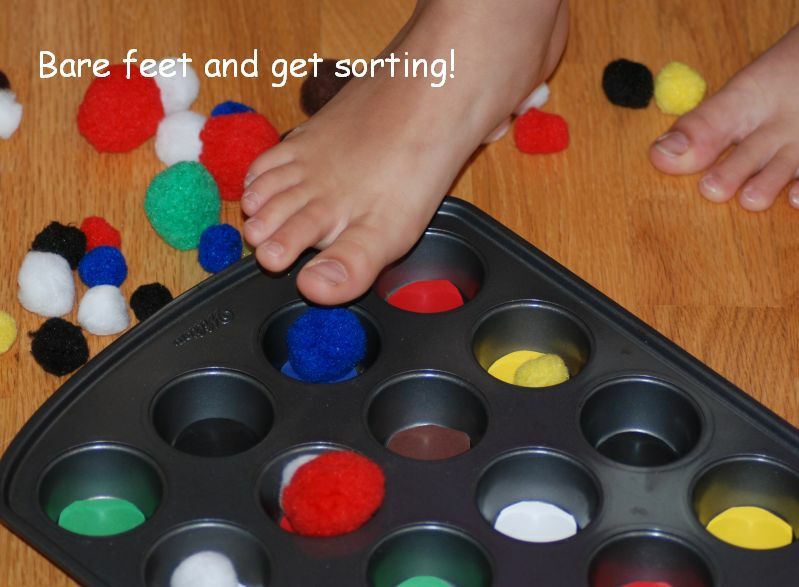 I’ve done a similar game with marbles before, but I love the craft pom-pom sorting part. 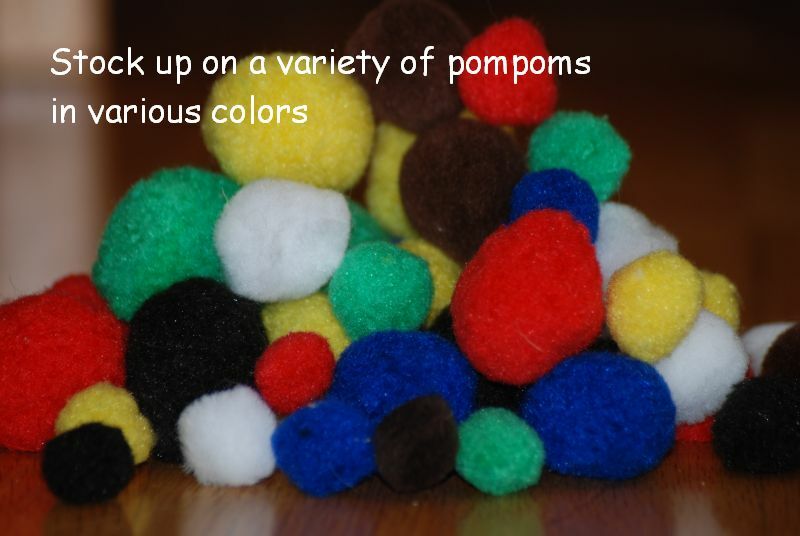 And pom-poms don’t roll into all the nooks and crannies of a room. Your article about toe-ga-kids yoga game was very informatie. I loved the part about using an old muffin pan.